My relentless drum-beat continues. | J. Morris Hicks, writer. speaker. big picture guy. Beginning today with the fact that our solar system is just one of 100 billion. And scientists estimate that many of them could possibly support life. So, does that mean that, like in the movie Avatar, we can take over one of those planets after we’ve run out of natural resources here on planet Earth? No, it definitely does not. So I got to wondering how many of those other 100 billion planets are in the Goldilocks Zone? According to Wikipedia data (see link below), there are a lot more of them than you might think–maybe as many as 40 billion. Surely, a few of them have intelligent life. E.O. Wilson estimates that maybe 4 or 5 of them do. If so, that brings up the prospect of building trading relationships with them or conquering them, right? Not very likely. The nearest one is twelve light years away. So how long would it take us to travel there? If we could travel at the speed of light, a round-trip would take 24 years. Light travels at 186,000 miles per second, or about 670 million miles per hour. 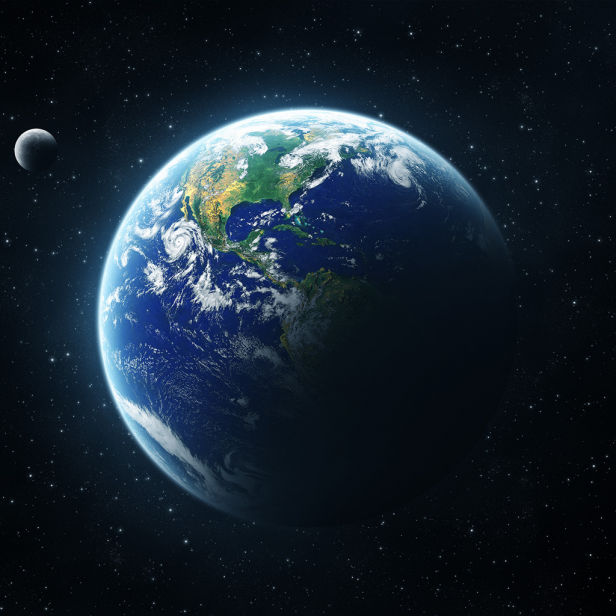 By contrast, the satellites in orbit around the Earth travel at just 17,000 miles an hour. Even if we could travel at just 1/10 the speed of light (67 million miles per hour), a round trip to that nearest Goldilocks planet would take 240 years. How feasible is travel to other planets that can support life? Almost nil with today’s travel technology. And even if we could get there and back in 24 years, the likelihood of finding a complete biosphere there that could support us is also close to nil. Under the banner of more people leading a better quality of life, human activity has thrown this entire interconnected system seriously out of balance and it continues to get worse. Much worse. We’re heating and polluting the atmosphere, hydrosphere and cryosphere. And we continue to destroy many of the millions of species of plants and animals (our biosphere) with reckless abandon–leading to an unprecedented rate of species extinction, now running at over 1,000 times the normal rate. We seem to have forgotten that all things are connected in nature as we seem hellbent on destroying our precious ecosystem that gives us life. What’s it going to take for us to return to living in harmony with nature? A lot more than recycling newspapers, taking shorter showers and driving electric cars. 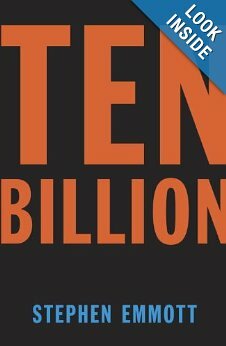 As Stephen Emmott points out in TEN BILLION, what is needed is a RADICAL change in human behavior. Yet, there are exactly ZERO world leaders who have even begun to talk about radical change. What we have is an overall “system” that is selfishly grabbing what’s left of our natural resources to support a grossly unsustainable way of life. The Bottom Line. I have concluded that the ONLY pragmatic way to get us moving in the right direction is to begin an URGENT effort to move rapidly in the direction of a plant-based diet for all humans. You see, our food choices determine how most of the world is being used and we ran out of available farmland many years ago. It took 200,000 years for humans to get to reach a population of one billion. Since then, with the help of the agricultural and scientific revolutions, in just over 200 years, we’ve added 6.3 billion people and taken over the entire globe to produce our food and other “stuff” that we consume. Since animal-based foods (on a per calorie basis) require over ten times as much land, water and energy as do plant-based foods, any move in the direction toward more plants and fewer animals will result in HUGE improvements to our ecosystem. And, it just might buy us enough time to work on other issues that continue to drive us away from living in harmony with nature: overpopulation, overconsumption and dependence on fossil fuels. The cost of global depletion is a tough lesson to learn. The people of Easter Island had a similar situation about one thousand years ago. After they squandered their natural resources, their ecosystem collapsed–followed closely by their civilization. The humans themselves were nearing extinction when the Dutch explorers discovered their island on Easter Sunday in 1722. What can you do? Like I said in a recent post, you can start by getting the “animal out of the equation” in your own diet. You can also become a part of this discussion. You can ask other people to look at the simple arithmetic that any 3rd grader could understand. You can challenge the “leaders” that you know about the unsustainable nature of our lifestyle. You can ask them why no one in power ANYWHERE is talking about this most crucial of all topics. Finally, you can invite me to speak at your company, church, university or club. Why do I continue to harp on this subject like a relentless drum beat every day? One reason is that I am preparing myself for an upcoming meeting that a colleague and I will soon be having with a very prominent and highly respected leader. We believe that this particular man has the requisite combination of integrity, conviction, courage, resources, leadership skills and popularity–to organize and lead a global coalition aimed at urgently promoting the health of our ecosystem that gives us life. If that meeting is a success, you will hear all about it. Maybe he’ll even be able to get us that meeting with the Pope. Source Information. Here’s an excerpt from the Wikipedia page mentioned earlier. Below this information is a link to that page and a few links to some of my earlier blogs on the topic of sustainability. Finding Earth-sized Goldilocks planets is a key part of the Kepler Mission, which uses a space telescope (launched on 7 March 2009 UTC) to survey and compile the characteristics of habitable-zone planets. On 4 November 2013, astronomers reported, based on Kepler space mission data, that there could be as many as 40 billion Earth-sized planets orbiting in the habitable zones of sun-like stars and red dwarf stars within the Milky Way Galaxy. 11 billion of these estimated planets may be orbiting sun-like stars. The nearest such planet may be 12 light-years away, according to the scientists. My blog of 8-9-13. 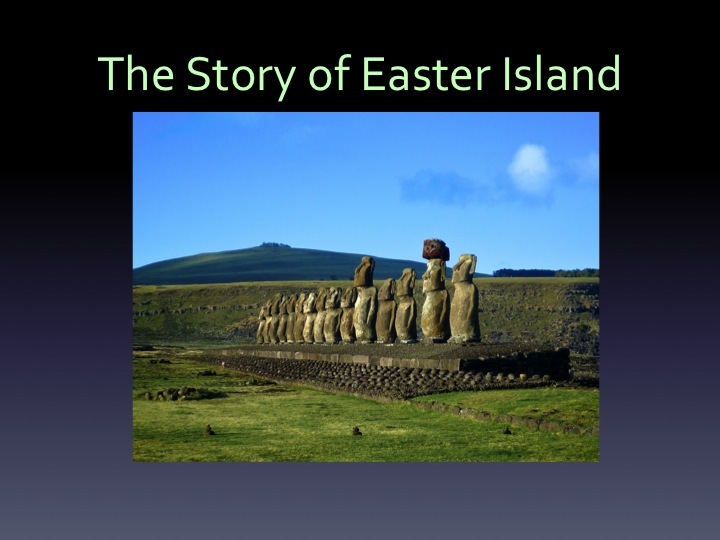 Were humans the “infestation” of Easter Island? My blog of 11-14. Characters in the movie “Interstellar” ate ONLY plants. My 1-25-14 blog. NOTHING is more Important than Sustainability! Want to find out how healthy your family is eating? Take our free 4Leaf Survey. It takes 2 or 3 minutes. eCornell is now using our survey in their plant-based nutrition course. Check it out on your smartphone at eCornell.com/4Leaf-Survey. To order more of my favorite books—visit our online BookStore now For help in your own quest to take charge of your health, visit our 4Leaf Program and also enjoy some great recipes from Lisa’s 4Leaf Kitchen. This entry was posted in Activism & Leadership, Sustainability and tagged u. Bookmark the permalink. 2 Responses to My relentless drum-beat continues. Jim, great article. I’m wondering if the protestant work ethic of individualism works against people on not only food choices but other issues as well ,such living wages, etc. It seems we are so into our rights for the sake of rights that we miss the bigger pictures. Thanks. I have a vision of my grandchildren going to the Earth Bank for food and being told, “Sorry, your account was overdrawn and is closed.” Adults seem to think, “Hard times are so far away, I’ll be long gone.” First, tipping points are toppling much quicker than expected. Second, we really do love and care what kind of life we leave for our children. It is not right to say, “That is their problem,” and keep making it worse. http://www.MaryGuay.org.